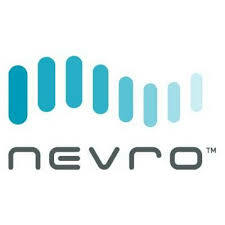 Northland Securities analyst Suraj Kalia maintained a Hold rating on Nevro (NVRO) today and set a price target of $48. The company’s shares opened today at $39.83, close to its 52-week low of $34.75. According to TipRanks.com, Kalia is a 5-star analyst with an average return of 9.4% and a 55.8% success rate. Kalia covers the Healthcare sector, focusing on stocks such as Tactile Systems Technology, Strata Skin Sciences Inc, and Obalon Therapeutics Inc. The word on The Street in general, suggests a Hold analyst consensus rating for Nevro with a $52.56 average price target. The company has a one-year high of $94.34 and a one-year low of $34.75. Currently, Nevro has an average volume of 747.7K. Based on the recent corporate insider activity of 31 insiders, corporate insider sentiment is positive on the stock. This means that over the past quarter there has been an increase of insiders buying their shares of NVRO in relation to earlier this year. Nevro Corp. engages in the provision of medical devices. It develops and commercializes senza spinal cord stimulation system, an evidence-based neuromodulation platform for the treatment of chronic pain. The company was founded by Konstantinos Alataris in March 2006 and is headquartered in Redwood City, CA.